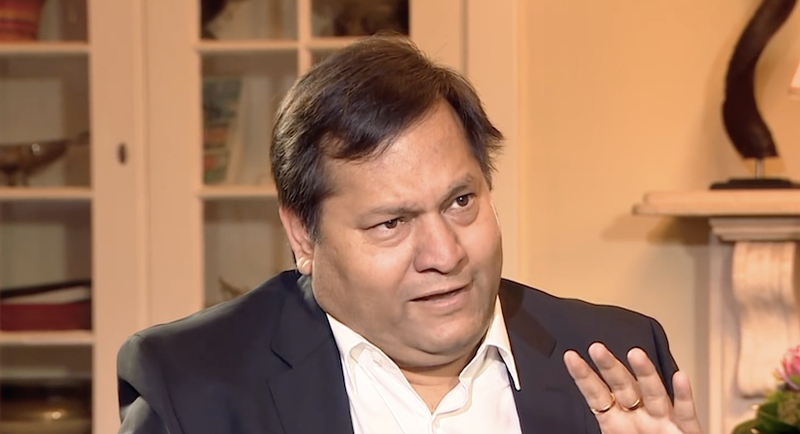 If Ajay Gupta has fled South Africa and is relying on the sovereignty of another state to evade justice, he certainly is not the first. In Judges 19-20 in the Old Testament, a story is told of a Levite whose wife is raped and killed by Benjaminites in the city of Gibeah. When the Israelites came to know of this horrific crime by the Benjaminites, they demanded, “Come, hand over those scoundrels in Gibeah so that we may put them to death and stamp out the evil from Israel.” As it happens, this request, possibly the first extradition request in recorded history, was rejected, resulting in war between the Benjaminites and the Israelites. Since then, extradition has developed into an important feature of international law and international relations. Extradition is a process whereby states (requesting states) seek the surrender of persons accused or convicted of crimes to the state (requested state) to stand trial or serve a sentence. Extradition usually occurs in terms of bilateral agreements between states. Such agreements specify the procedures to be followed when requests for extradition are made, and the terms and conditions for surrender of the accused or convicted person. 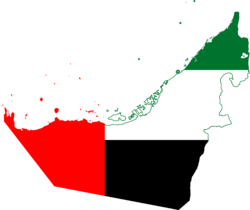 Since the end of apartheid, South Africa has become party to many such bilateral treaties, but not the UAE. Guptas flee South Africa with ‘all bags full’. More magic available at www.zapiro.com. But extradition can and does lawfully occur in the absence of a treaty. Whether a treaty is required for extradition depends on the domestic law of the requested state. For example, extradition to states not a party to an extradition treaty with South Africa can and has occurred. All extraditions entail an intermingling of politics (both international and domestic) and law. When the requested person is in a position of power they use political connections to delay or evade the extradition process and dodge justice. The Chilean dictator Augusto Pinochet is a classic example. But closer to home (and in a slightly different context), President Omar al-Bashir of Sudan used his political connections to evade arrest and avoid surrendering to the International Criminal Court in the Hague to face charges of genocide, crimes against humanity, and war crimes. But in the Gupta case it is necessary to consider that both South Africa and the UAE have signed and ratified the United Nations Convention Against Corruption. The convention was passed by the UN General Assembly on 31 October 2003. Its primary aims are to “promote and strengthen measures to prevent and combat corruption” and to “promote, facilitate, and support international cooperation […] in the prevention of and fight against corruption”. Article 44 of the UN Corruption Convention sets out the rules regarding extraditing those persons who are accused of corruption (be it in the form of bribery, embezzlement, misappropriation of public property, or illicit enrichment). If the law of a state party, such as the UAE, makes extradition dependent on the existence of a bilateral treaty and receives a request from another state party, such as South Africa, it may consider the UN Corruption Convention as the legal basis for extradition in respect of corruption type crimes. 1. R200k to 1st bodyguard currently with Ajay Gupta who calls CrimeStop on 08600 10111 to advise of his location. 2. R200k to 1st accused in the Vrede Dairy Farm case (of the ones that appeared in court) to turn state witness. To help with legal fees. Indeed, the convention requires the requested state to either extradite the fugitive itself or prosecute the fugitive in its own courts. This means that if South Africa wishes to prosecute Ajay Gupta for crimes of corruption, and if Ajay Gupta is in the UAE, then the UAE cannot refuse to extradite Ajay Gupta simply because he is in the UAE. If it does so, without prosecuting him, it would be in breach of its international law to other states parties to the UN Convention Against Corruption. 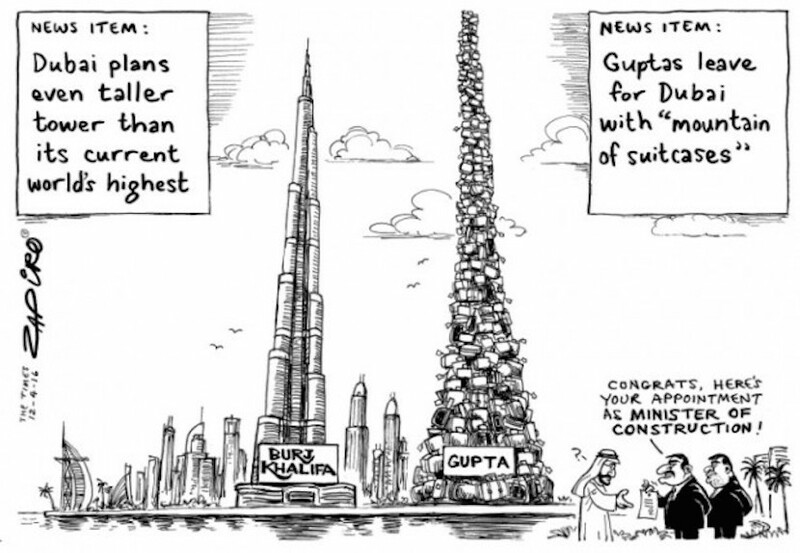 It is interesting if the Guptas have fled South Africa and are hiding in the UAE, or in some other state which has no bilateral treaty with South Africa, but at the end of the day it is irrelevant. Whether South Africa has a bilateral extradition treaty with the foreign state in which they are caught will not determine the lawfulness of their surrender to South Africa to stand trial for corruption. The dominant and only issues will be the properly proven facts, together with the determination, competence, and ultimately the political will of the authorities in the two countries. Anton Katz (SC) is senior counsel at the Bar in Cape Town and a UN special rapporteur on mercenaries. Eshed Cohen came first in the LLB class at UCT in 2017.